PLASTIC INJECTION MACHINE - only $595! The PIM-SHOOTER™ Model 20A is an accessory that turns your workshop drill press into an efficient plastic injection molding machine. 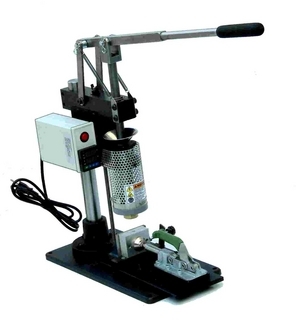 You simply supply the drill press and mold clamp. The $595 starter package gives you EVERYTHING ELSE you will need to immediately start producing your own plastic parts. 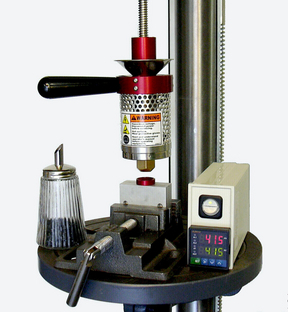 The PIM-SHOOTER™ Model 150A brings affordable injection molding to home shops or small businesses. If you are designing prototype parts, this machine will save tons of turn-around time. No more waiting for the parts to be produced by outside firms or overseas. Ideal for R&D, Prototyping and Production runs. See our videos! Copyright © 2015, LNS Technologies, Scotts Valley CA – all rights reserved.